On 24 an 28 March, the team successfully completed two deployments of shelter repair kits to the first group of 4 villages on their deployment plan. The have also under taken pre-delivery assessment trips to the remaining 5 villages who are due to receive their shelter repair kits on 31 March and 1 April. It is often hard for those not involved in a disaster aid deployment to understand the intense amount of assessments, consultations, planning and logistics that is needed for a successful deployment. However, this work is essential to ensure that those in most need can be identified, to find out what they need and then source the materials while avoiding any duplication of effort from other aid agencies. 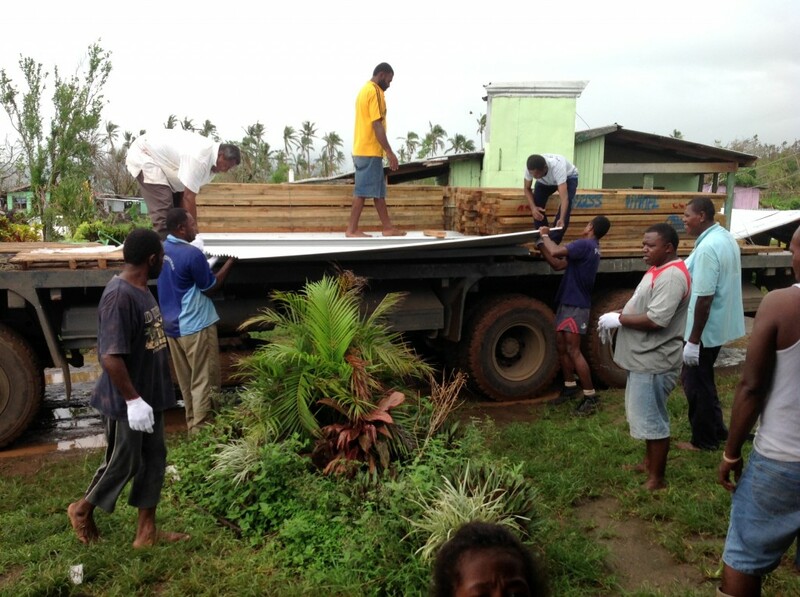 The shortage of materials has been a particular problem in Fiji and has hampered the efforts of other aid agencies on the ground. The need to go further afield brings with it all the logistical issues associated within communications and transportation problems in a disaster zone. Any deployment itself then has to be meticulously planned to ensure that the aid is distributed fairly and in line with the requirements of the local authorities and particularly the affected communities. Involving the local communities in deployments is an essential feature of how Disaster Aid International works. While this approach takes time and effort, it pays dividends in terms of delivering what is needed in the right way and, perhaps more importantly, to provide a focus for disrupted communities to re-establish themselves as they take the concrete first steps to rebuild for a sustainable future. The first two deployments have been particularly successful and a validation of all the preparatory work the team have been engaged in since 12 March. The only last minute change of plan made after a pre-delivery assessment trip, was to switch to a 4 wheel drive vehicle to cope with the roads which had deteriorated since the recent heavy rain. 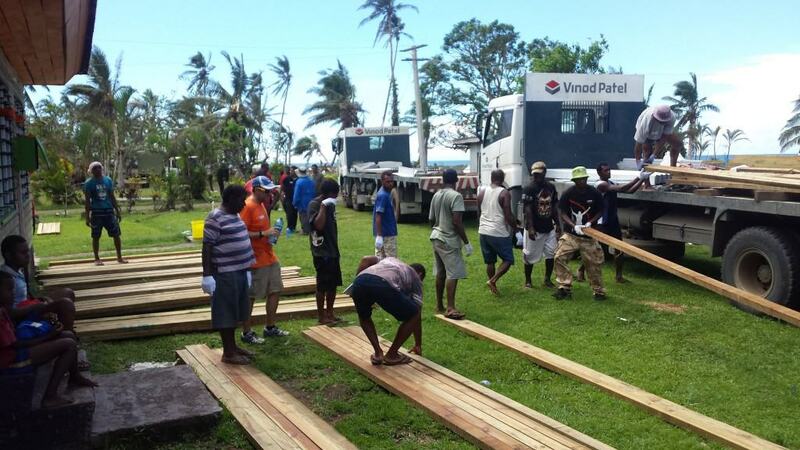 They were aided by senior representatives of the Suva North Rotary club and a number of local volunteers. Once on site, the village community worked with the Team and local volunteers to distribute the aid. The team worked closely with the Village elders and were impressed by the high level of responsibility the village communities took for the deployments. In one village the very sizable delivery was relocated overnight to a site that was they considered would have better protection from the weather prior to distribution. In another, the village got together to amend the original distribution plan, subject to approval from the team, to take account of materials that they had been able to reclaim so that even more homes could be repaired completely. The team were overwhelmed with the emotional responses from the village communities. 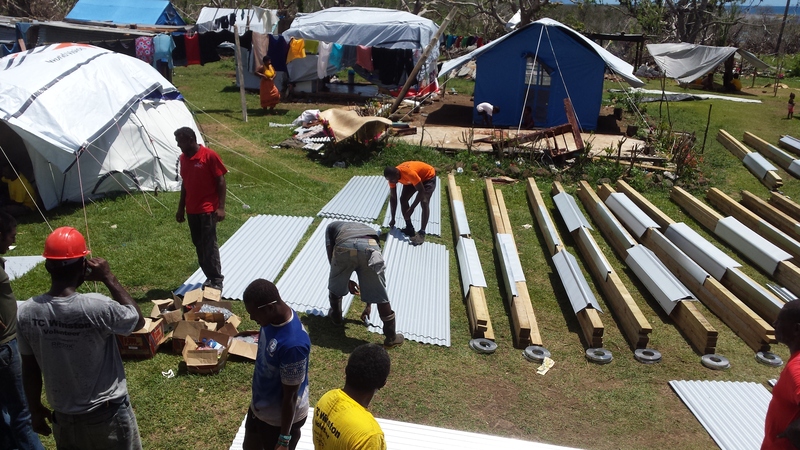 While many had received emergency aid, this was the first time that they were given the resources to start to rebuild their homes. This is a very important psychological step in disaster recovery where communities no longer feel the victims of a disaster but are empowered by the ability to take control of their lives and plan for their future. As International Aid International continually sees during deployments throughout the world, once communities are empowered in this way, they are able to achieve the incredible – for themselves and by themselves. 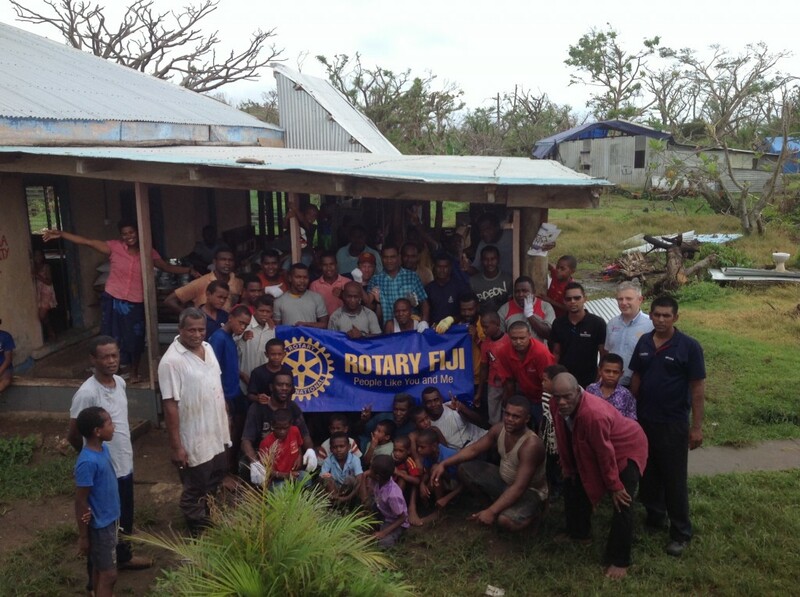 If you are able to support us in our work in Fiji, please do consider making a donation.